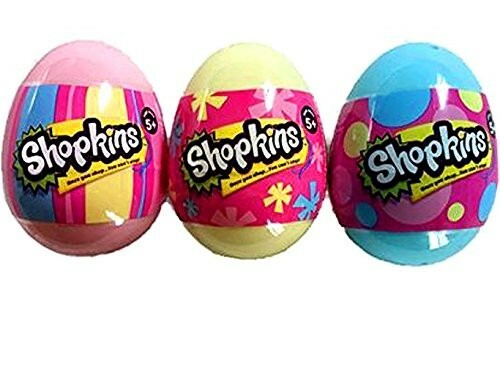 Set of 3 Hard to Find Shopkins Season 4 Easter Eggs Three eggs (pink, yellow and blue) Each single egg contains 2 Shopkins (a total of 6 Shopkins) Collect them All! This product is listed on amazon using an ASIN of #B01AAUU630 . Product prices and availability are accurate as of March 29, 2019 and are subject to change. Any price and availability information displayed on Amazon at the time of purchase will apply to the purchase of this product. Certain content that appears above comes from Amazon Services LLC. This Content is provided 'AS IS' and is subject to change or removal at any time.